Devi's Photoblog - Daily Photography from Chennai, India. Devi (Chennai, India) on 26 April 2019 in Animal & Insect and Portfolio. 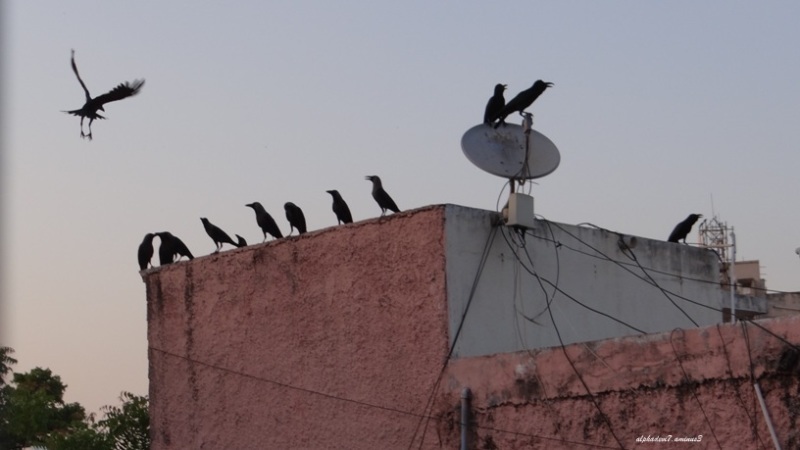 the collective noun for crows !! Cool and funny Hitchcock scenery. Ce ne sont pas les amis des pigeons.